” Are You Blogging for Money And is it Giving You a Penny “. After getting this Question in my mind i Started founding Accurate Answer for the Question. And Want to Share with all. In fact Every 3rd blogger Starts his/her blog for earning money or getting some handsome bucks. if you have any blog or website you will understand the difficulties faced by bloggers in earning money. having a blog doesn’t give you money you have to struggle for it. sometimes it takes so long, sometimes it Doesn’t. 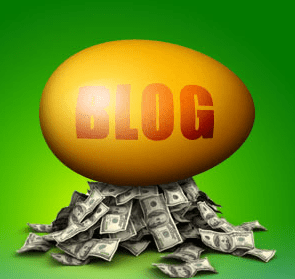 So in this article i’ll tell you some Crucial points to earn money from Blogging. Choosing The Right Niche, This is Most Important And Crucial Point. This is All simple to explain if You Don’t have the Niche on that you can write you will be unable to write more articles on Your blog. Make Sure your blog have enough unique articles to keep visitors visit your blog. this is main part in which a blogger gets fail. don’t even try to do copy-pasting other articles on your blog. it will increase your visitors firstly but it will make your blog dead. Many of my friends have custom domain while i don’t have. is Domain that important for making money ?. The answer is yes Domain is very important for earning handsome amount of money ( Indirectly ). Why in indirectly – indirectly because it will increase your daily online visitors not your income.You can Choose any domain name registration service to get a Domain name and making money by Creating a Cool website. Social Media may be the best for increasing your Blog traffic. so Be Sure to Make exposure of your blog on social media as you can. If you want organic traffic, then don’t ignore guest posting. You can get a lot of traffic and back links of high quality from this method. Choose the blogs where you want to write guest post. The blog should be popular in your niche, where you can earn quality links. Always research before you submit your guest post. Make sure you know the blog owner’s interest and what kind of guest post they like to have and so on. Choose other blog that interest with your niche. It is your goal to comment on a popular blogger and networking within your group. Carefully pick the blogs on which you can comment on. Connecting with popular bloggers will increase your traffic ranking on search engines. The most important thing is to create a schedule for your comment and stick with it. Don’t forget to optimize your website with SEO. As far as traffic strategies goes, the right search engine optimization updates can bring organic traffic to your website. Understand the basics of optimization, link building, keyword research and other SEO tricks that are important. Work with an expert, if you are not sure how to optimized your website with search engines. If You Have Any More Tips Please Let Us Know Using Comment Box Below.